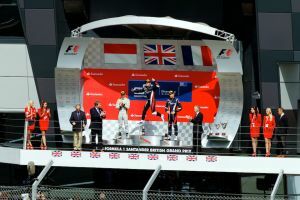 What a contrast to last year! 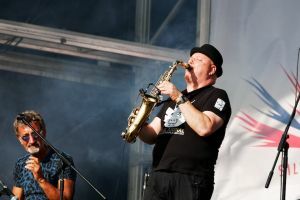 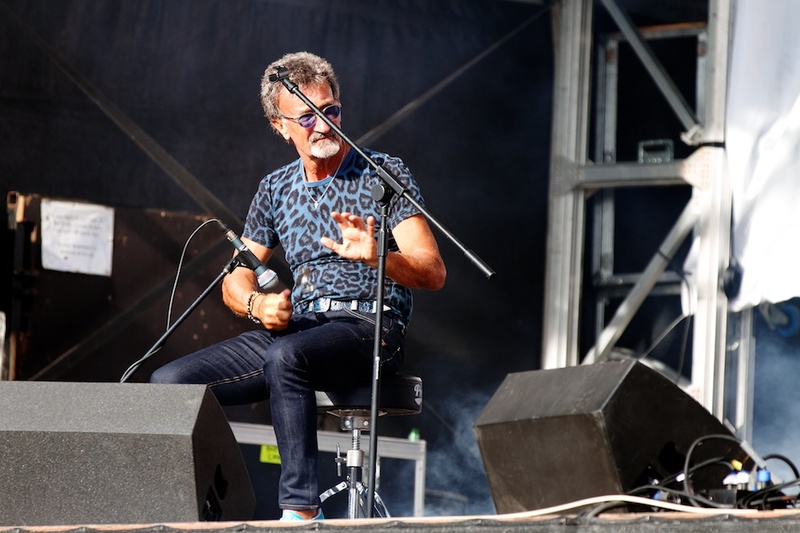 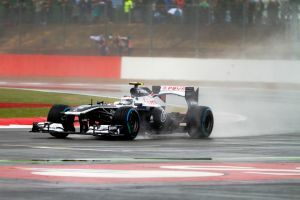 If you saw my blog post from the 2012 British Grand Prix, or infact even just caught the News, you may well remember that a crazy amount of rain fell which totally destroyed the grass car parks causing total chaos, leading the organisers to ask people to no longer attend the weekend. I myself spent 10 hours sat in my car on the Friday, barely even moving most of the time, it was a trying experience that seriously made me consider not bothering with the race in 2013. That said though, I changed my mind and decided I’d give it another go. 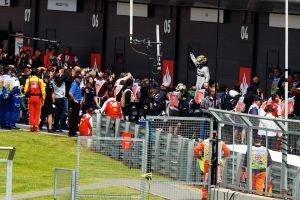 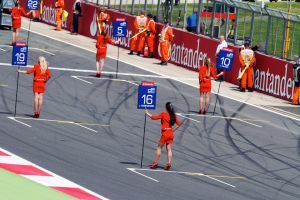 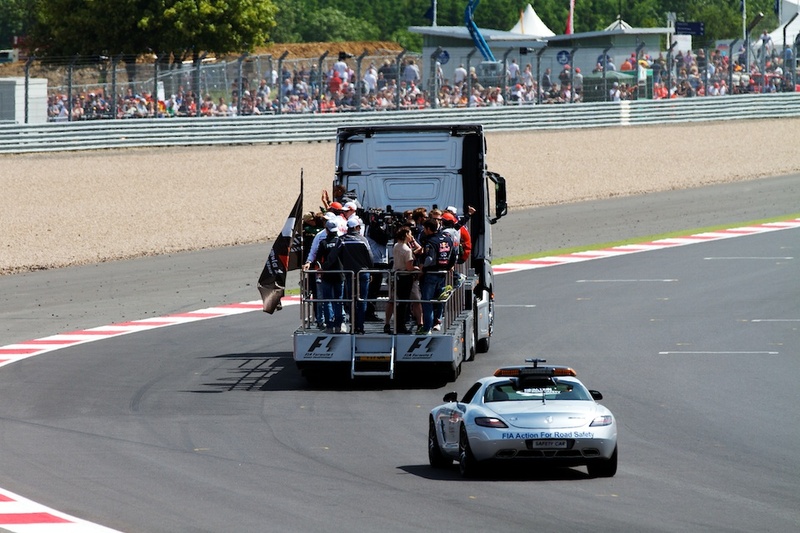 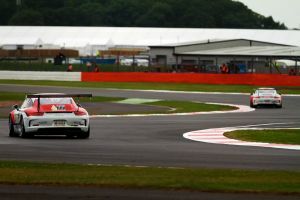 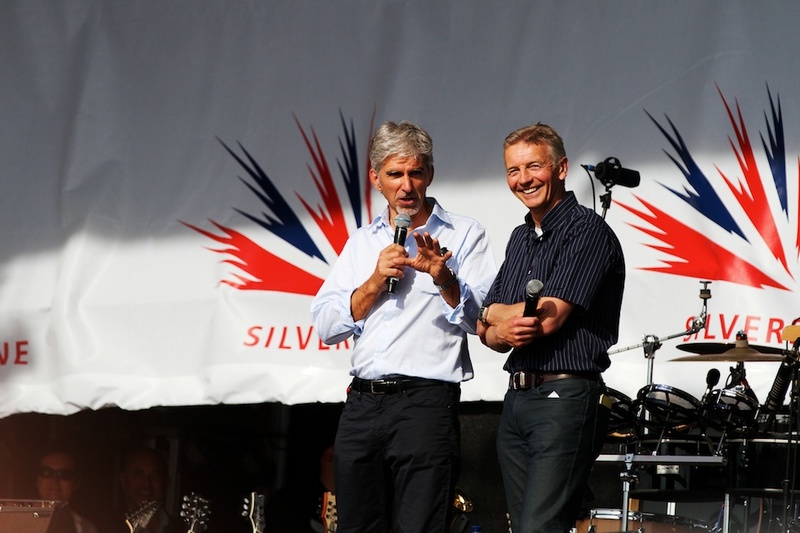 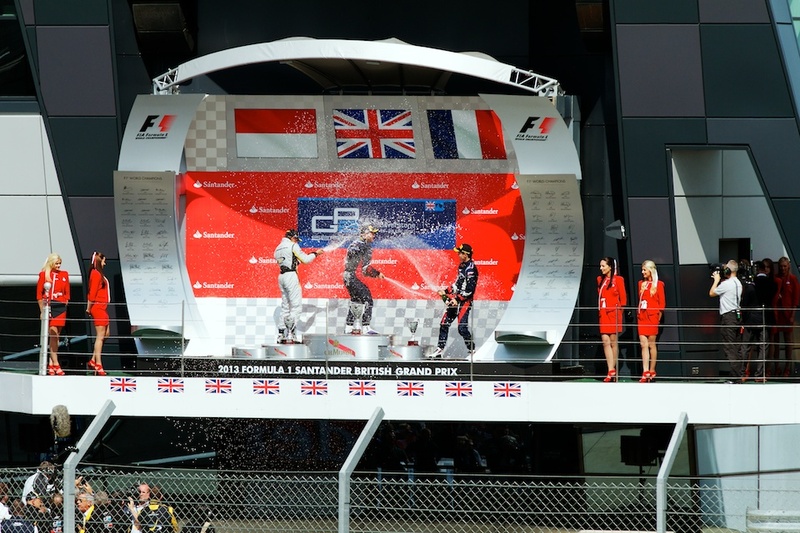 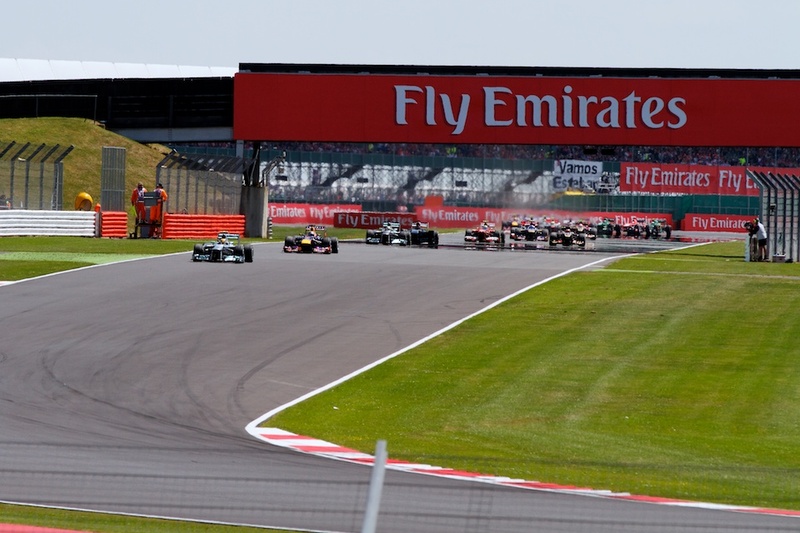 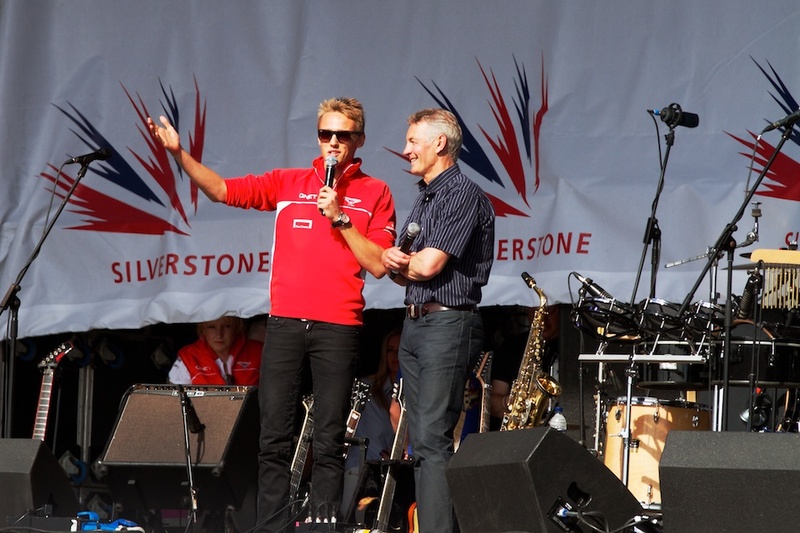 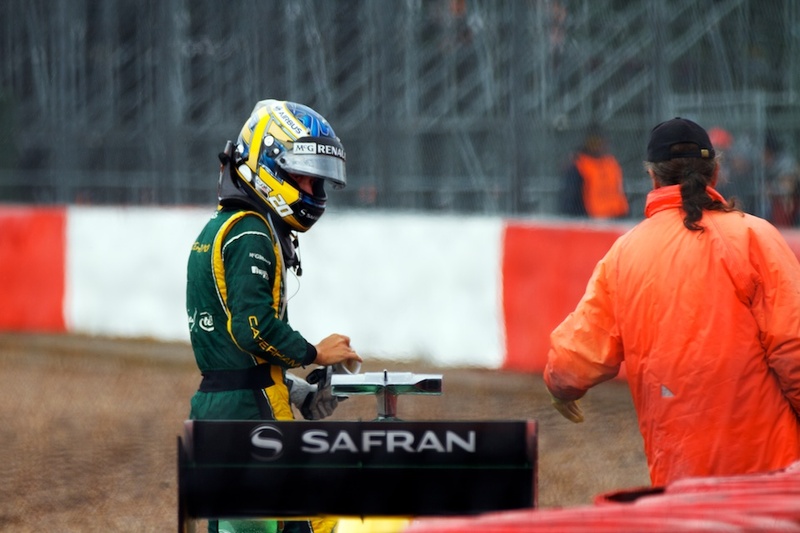 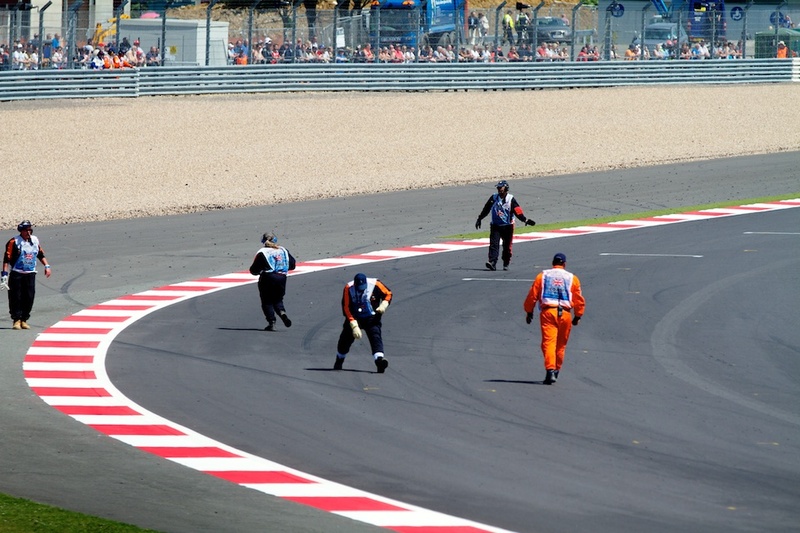 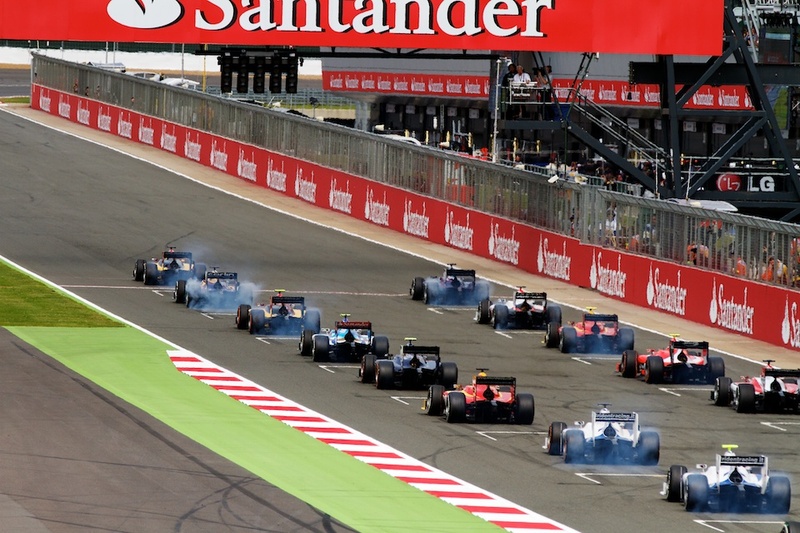 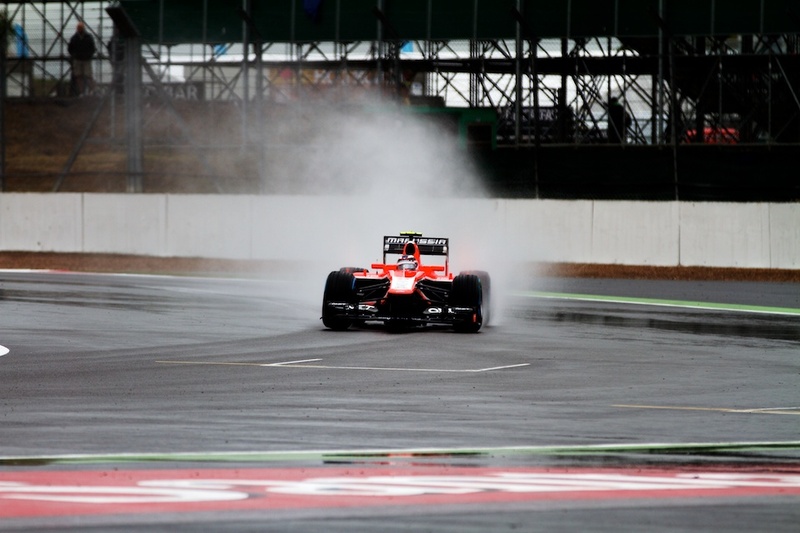 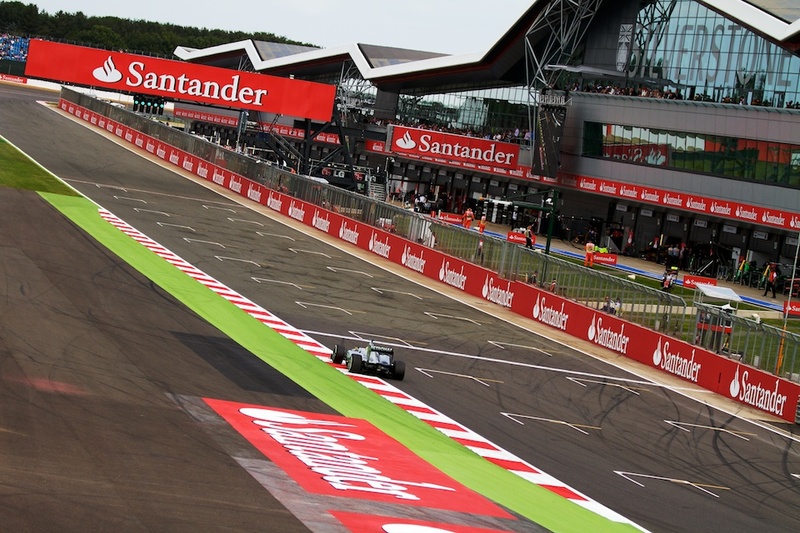 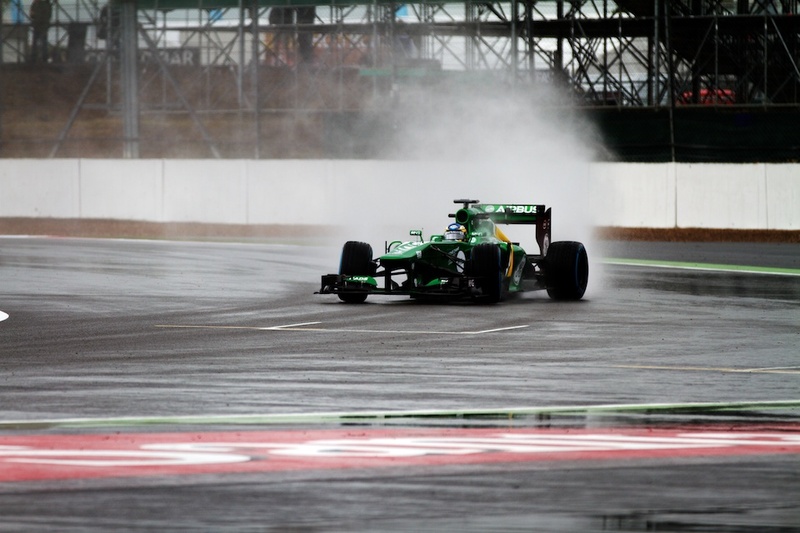 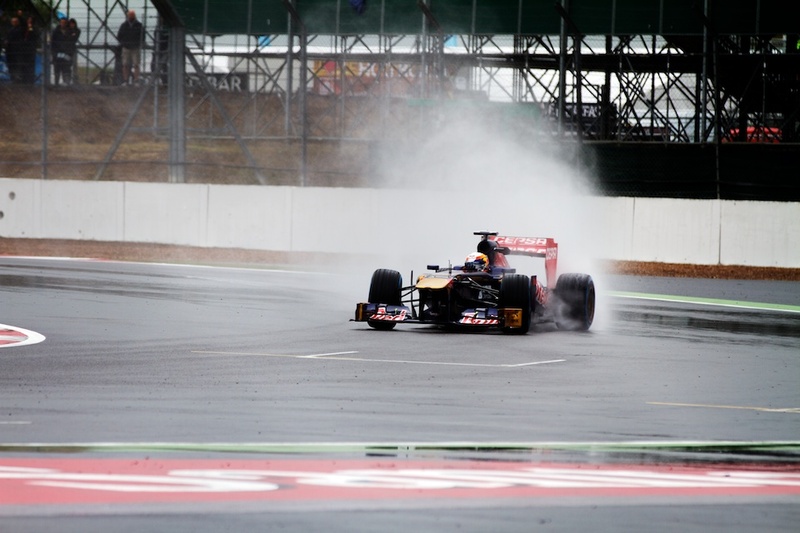 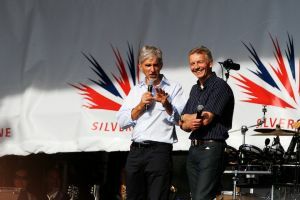 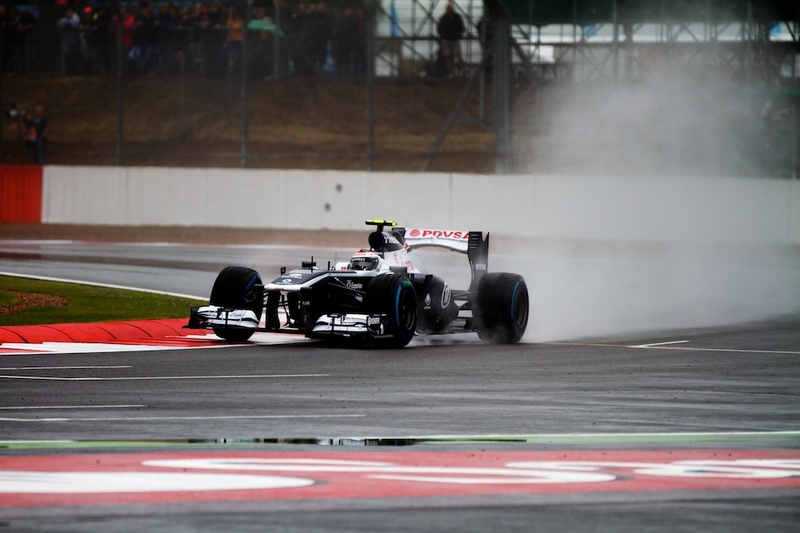 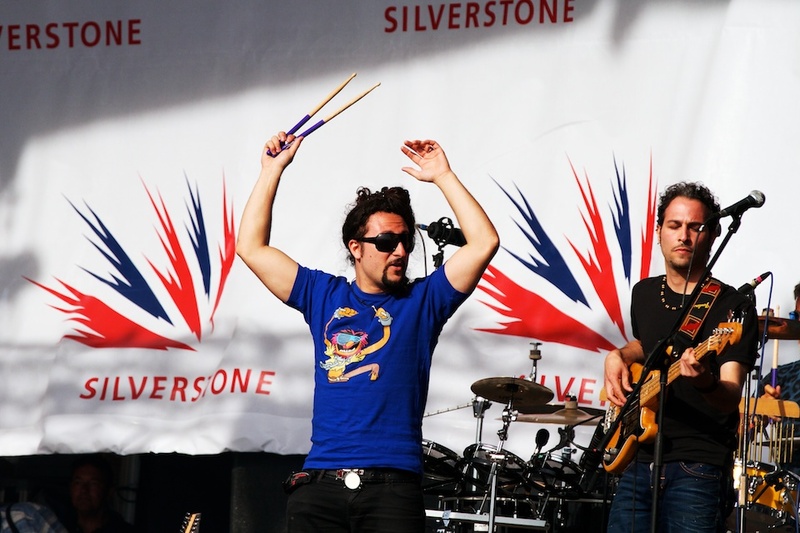 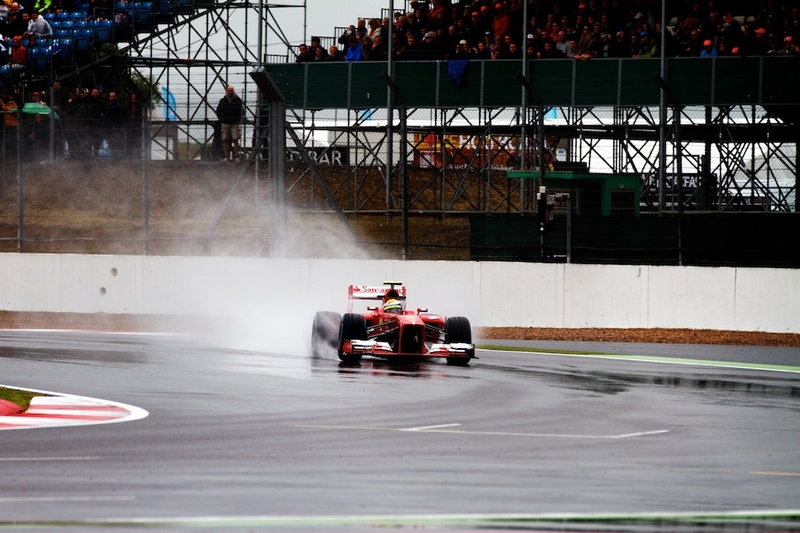 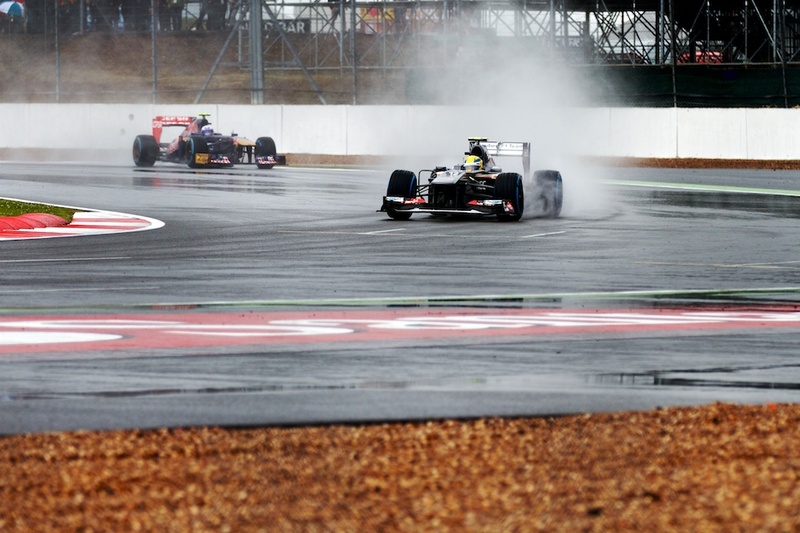 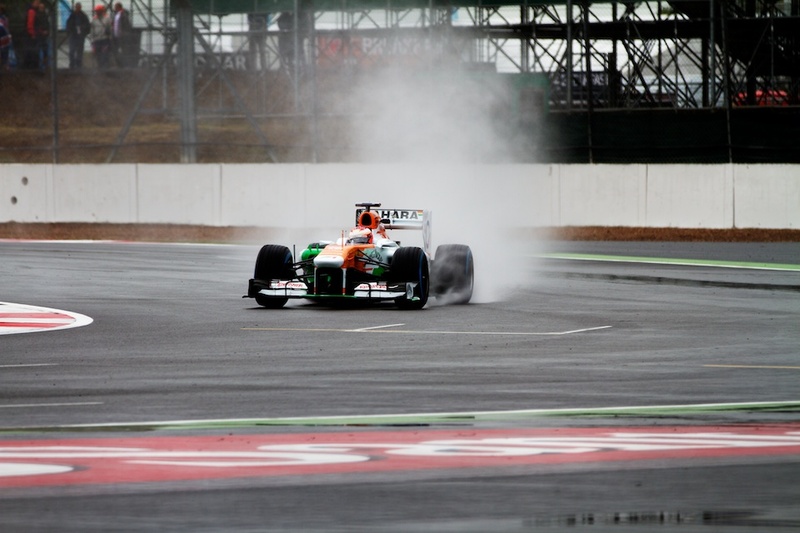 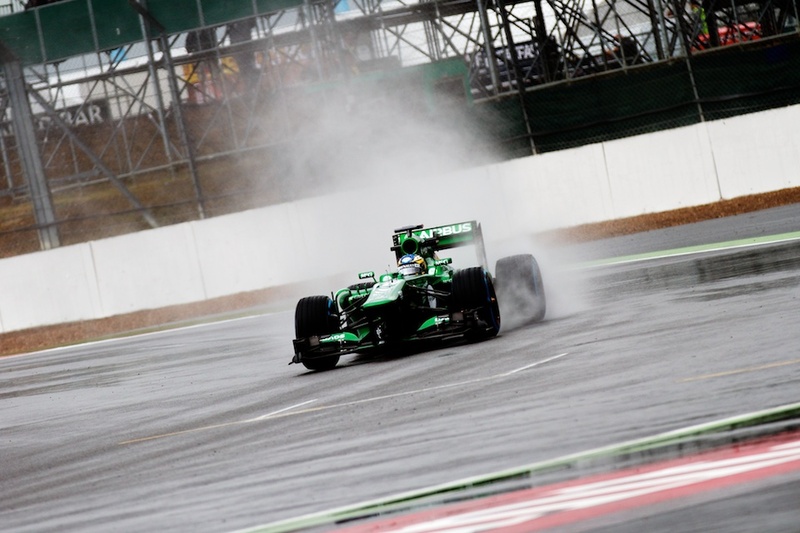 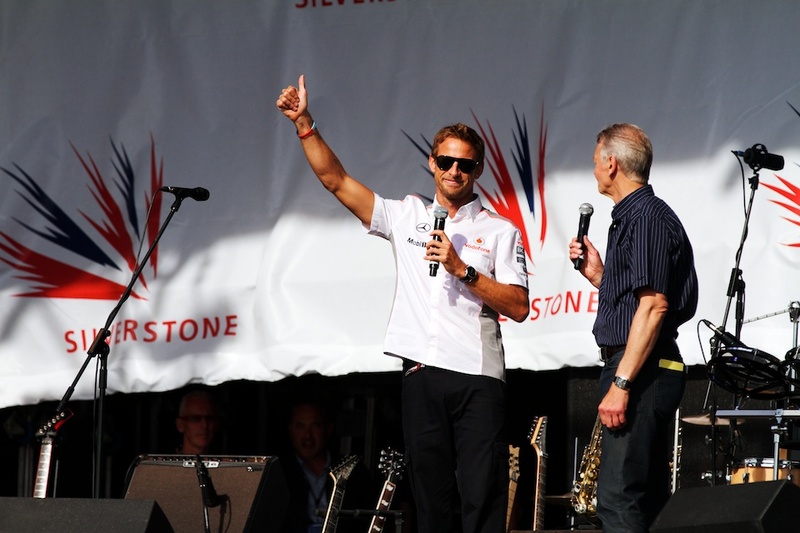 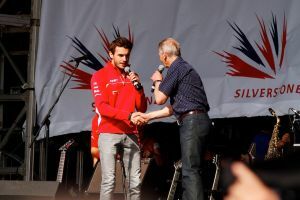 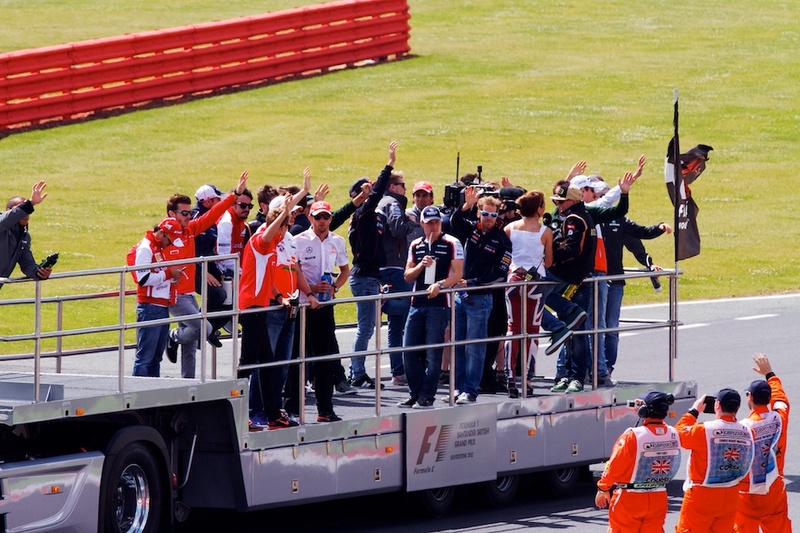 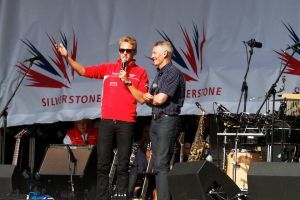 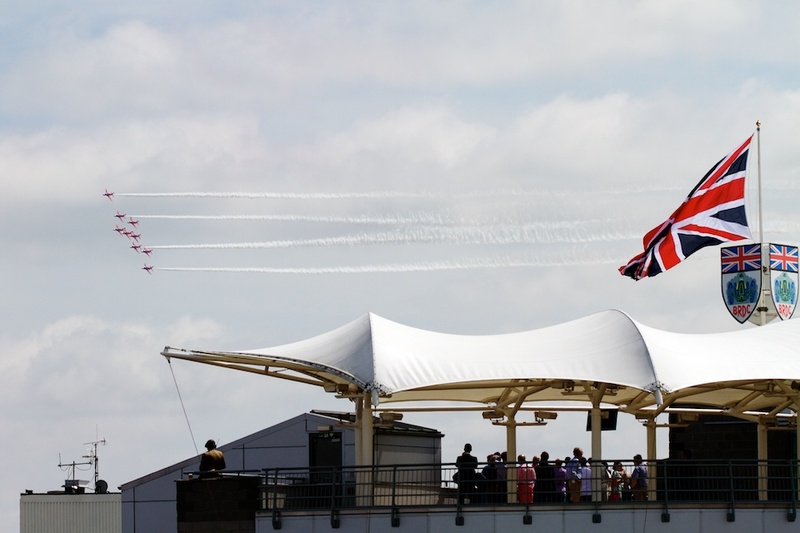 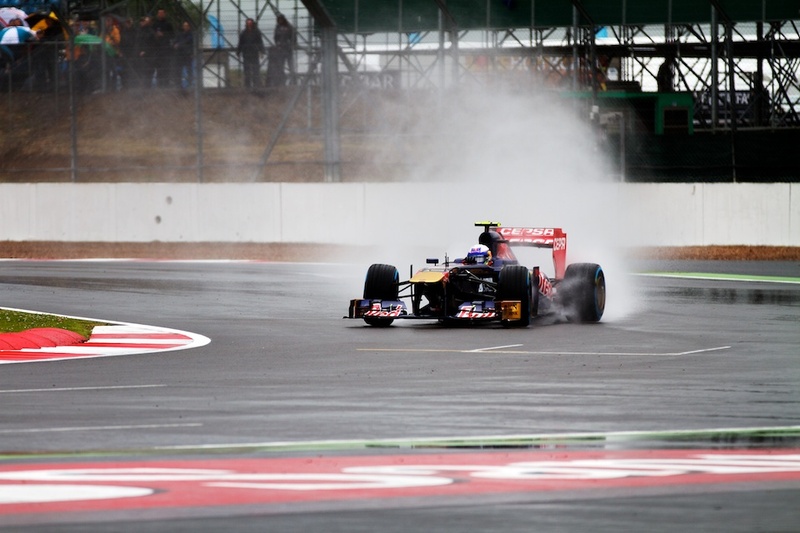 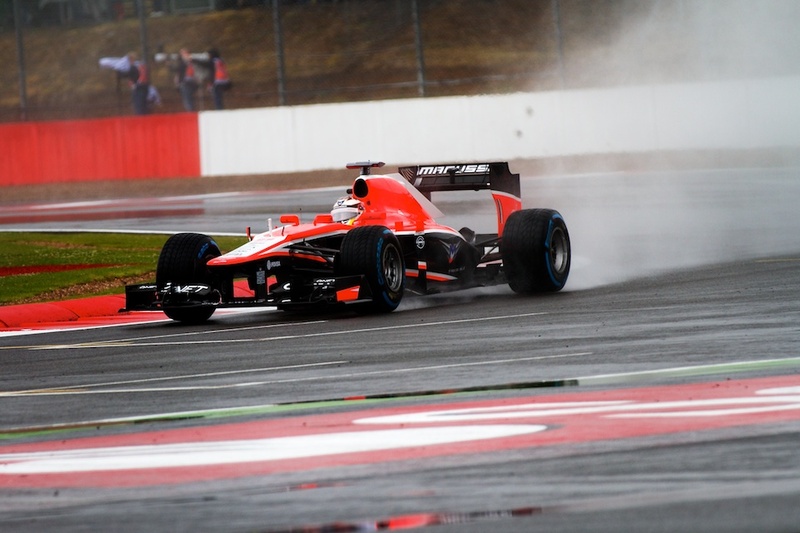 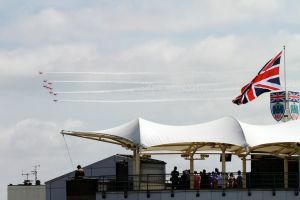 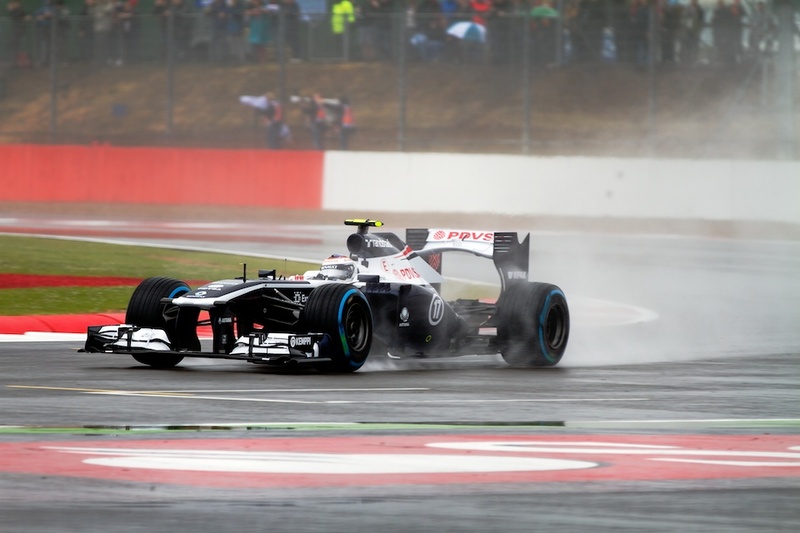 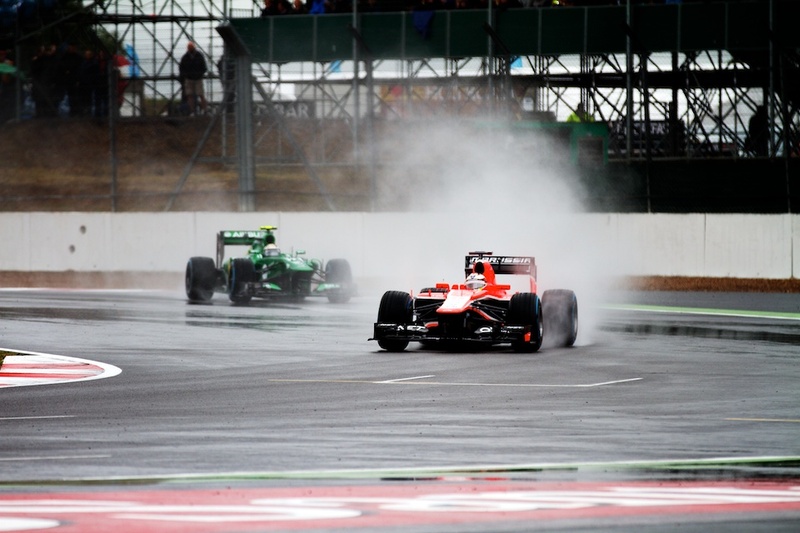 The conundrum with Silverstone and the British Grand Prix is that the one thing which caused all these problems in 2012, the RAIN, is also one of the things that makes it a real spectacle. 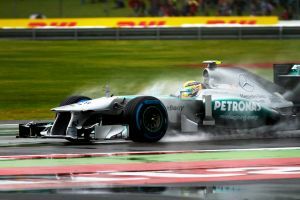 My favourite race I’ve watched there is from 2008 when it was also pouring with rain, Lewis Hamilton stormed his way to victory while others faltered, it was the kind of driving you saw from Michael Schumacher when he was at his prime as the ‘Rain Meister’. 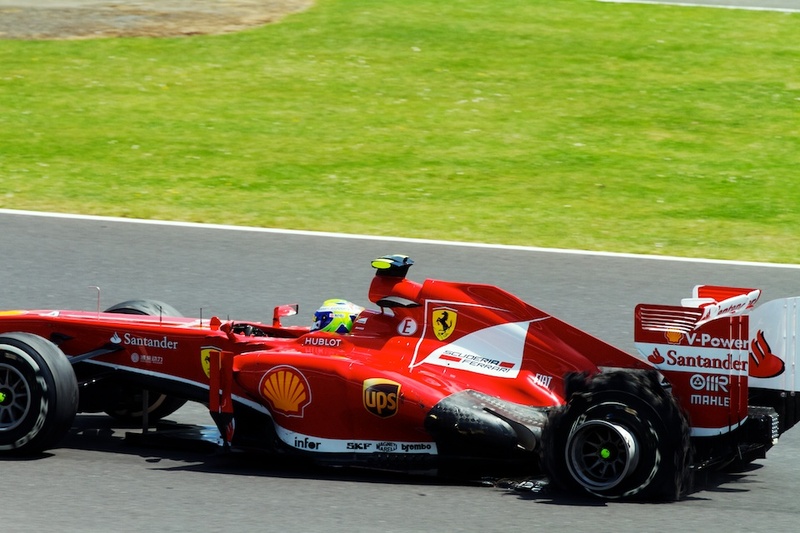 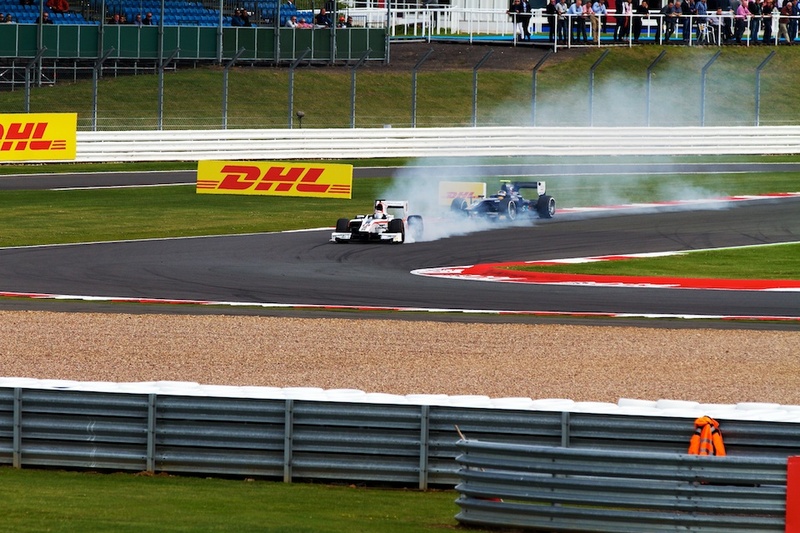 Similarly back in 2011, a heavy burst of rain just before the beginning of the race threw in an added drama, Kamui Kobayashi even managed to crash on his way to the grid! 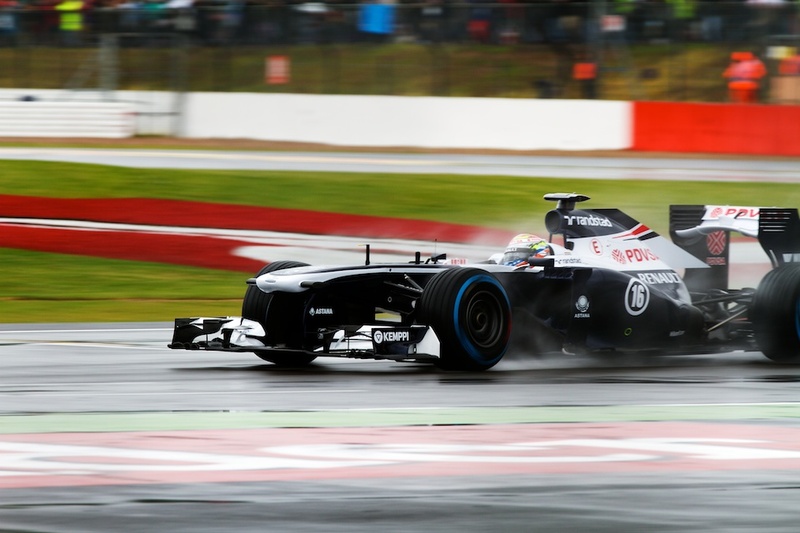 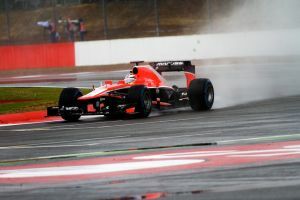 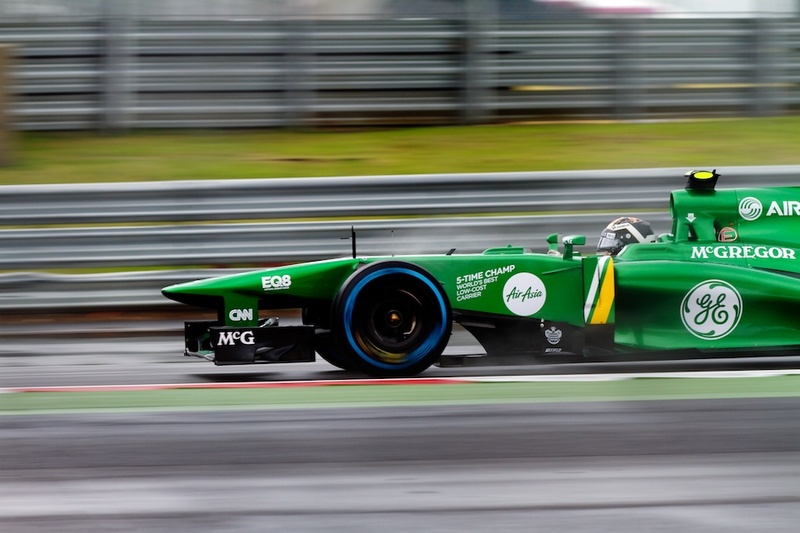 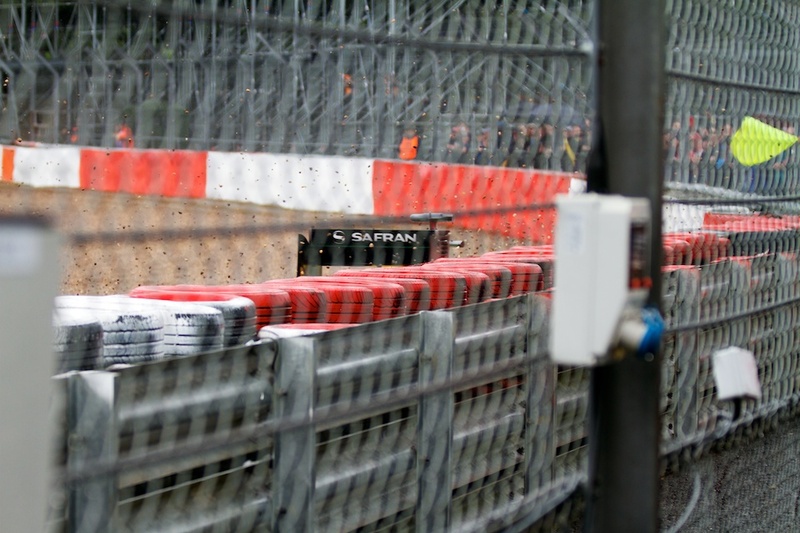 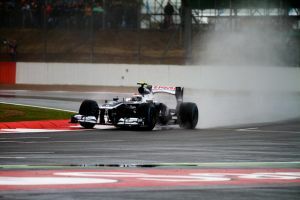 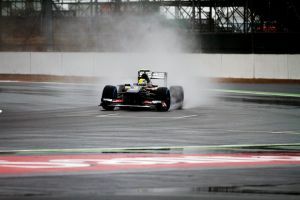 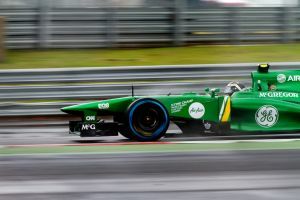 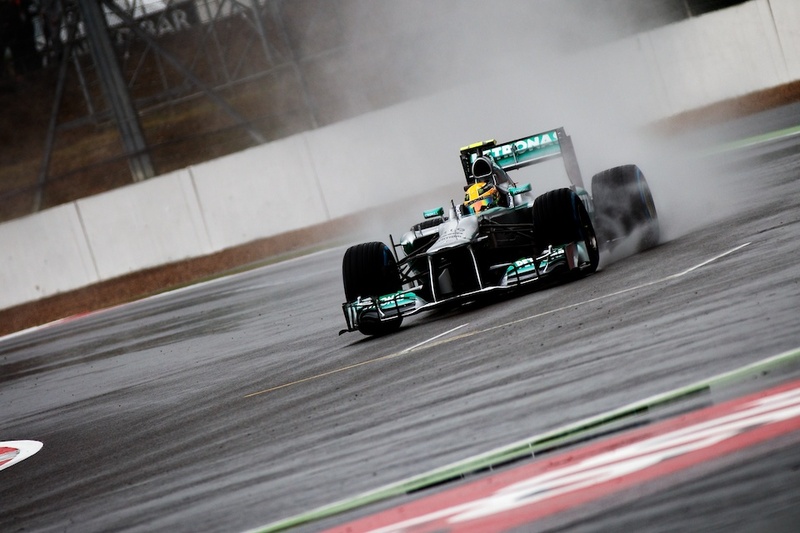 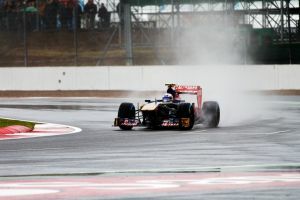 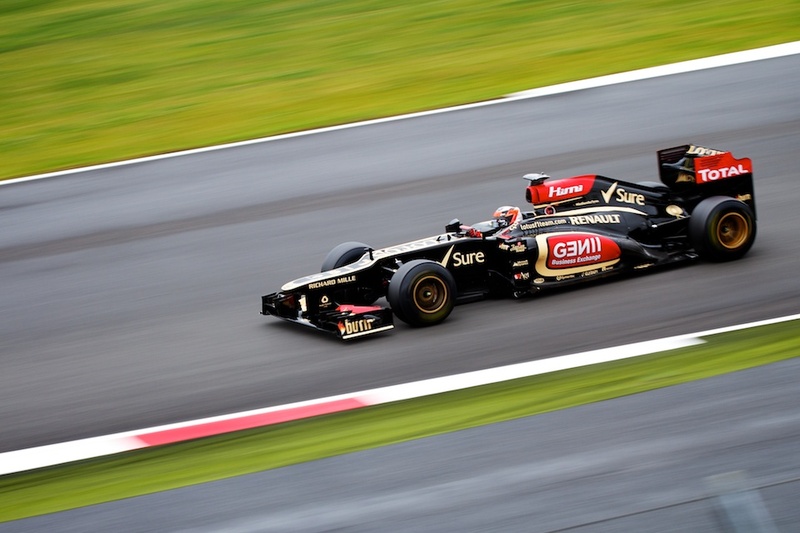 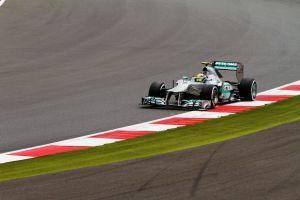 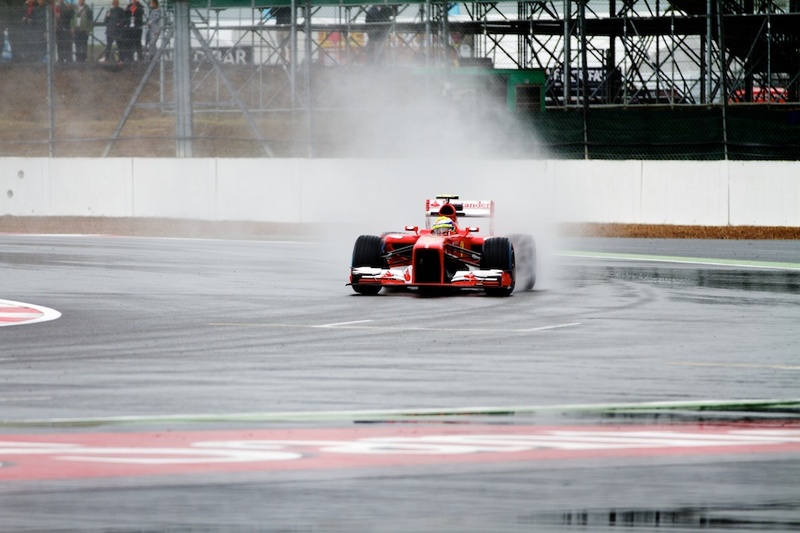 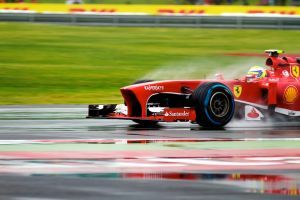 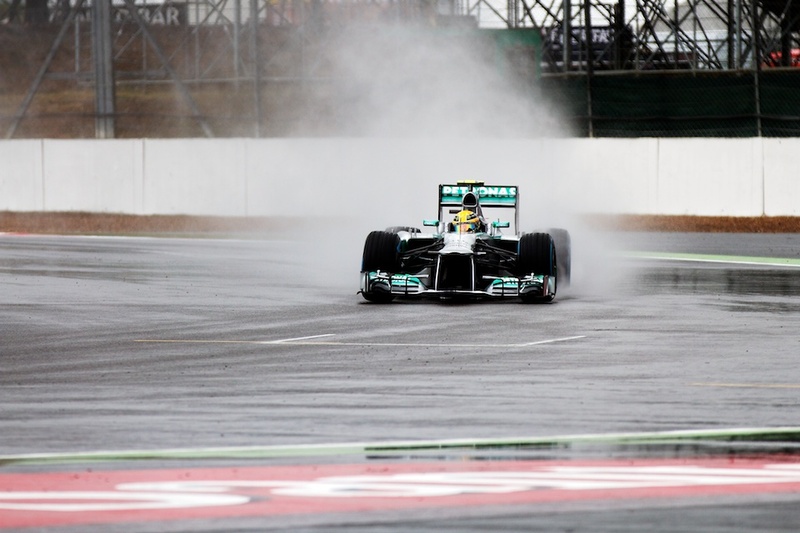 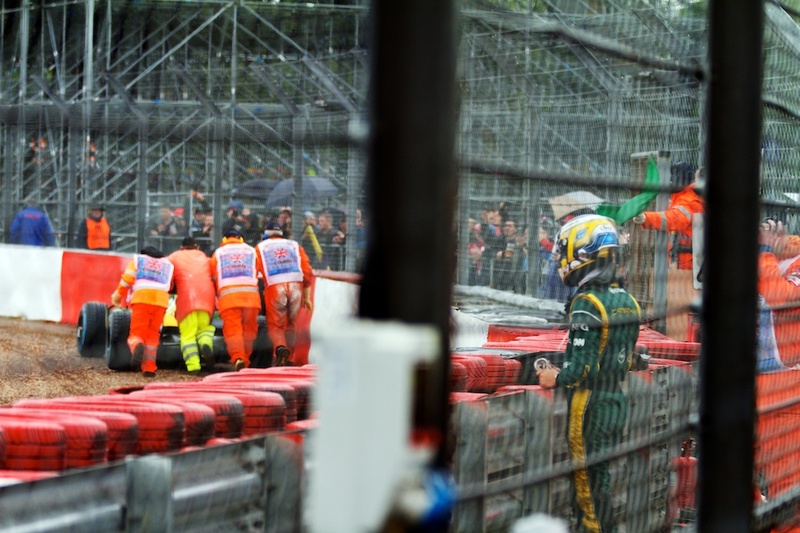 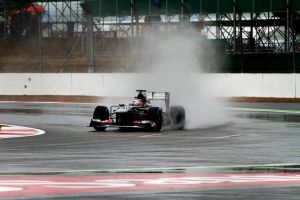 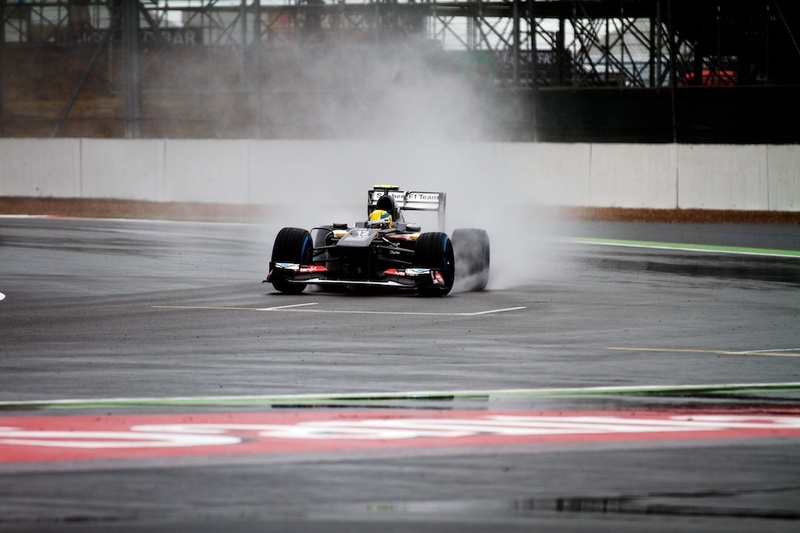 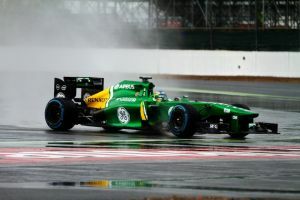 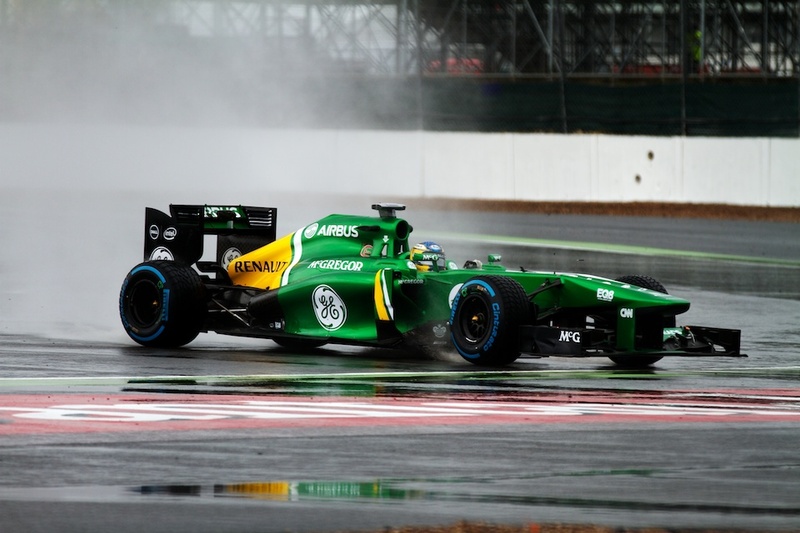 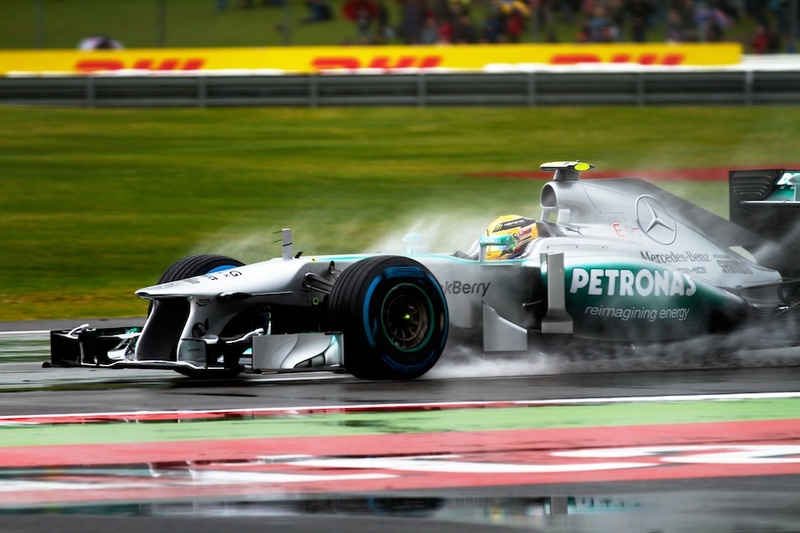 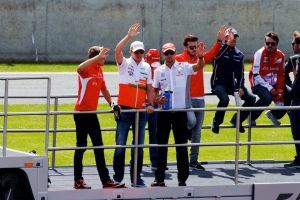 As an F1 fan, the thought of a wet race is usually something to salivate over, as the unpredictably really spices things up, especially with how some races can be quite monotonous. 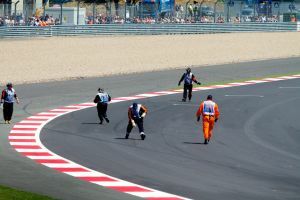 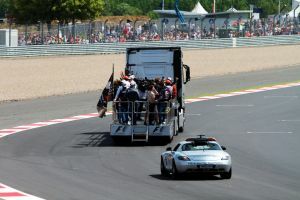 It brings both joy and an added spectacle as the drivers have to show real skill to stay on track, but similarly it can bring heartbreak if the team you are rooting for ends up in the barriers. 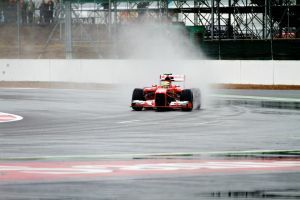 As a Photographer, I’ve found that shots of the cars in the rain are some of the best you can take. The plumes of water and rooster tails of water really help illustrate the speed of the cars, the dark foreboding clouds also work well for lighting, compared to the harsh overhead sunlight you will find during the usual race time at midday. So while it is great to wish for rain, the downside is that if its too much, you end up with a situation where they decide to not run the cars, or worse still, you can’t even get into the circuit! 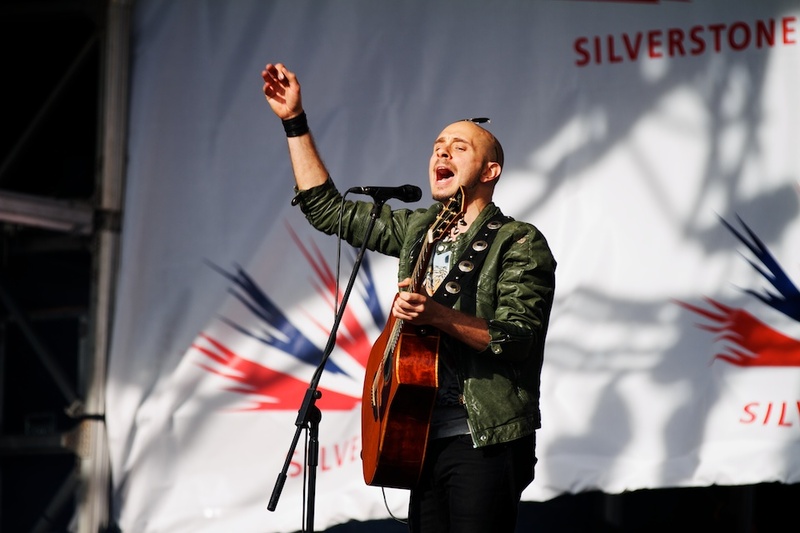 This year, when we arrived on the Friday morning for the first practise session, it was a real worry because it was raining and nobody wanted to go out, especially with better weather forecast for the rest of the weekend. 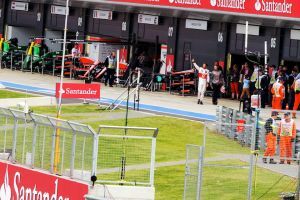 Luckily though, just towards the end of the session, our waiting around at Club Corner paid off and many of the drivers came out for a few laps. 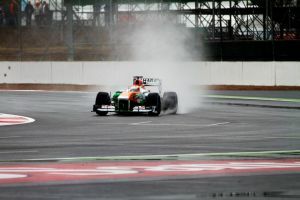 The result was that I got some of the best shots from the entire weekend and the rain added so much more to them. 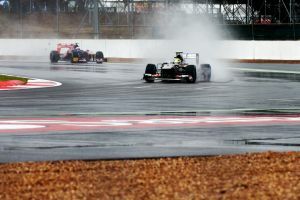 Weather for the rest of the weekend was much more agreeable and I’m really glad I went. 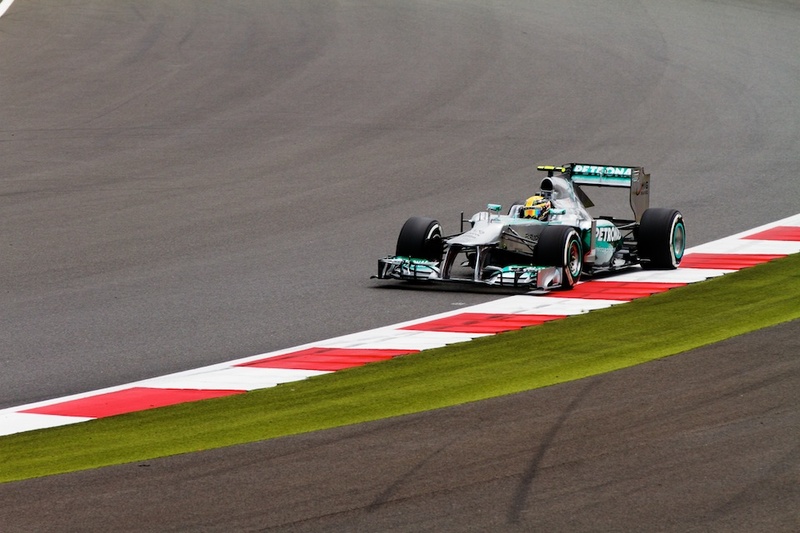 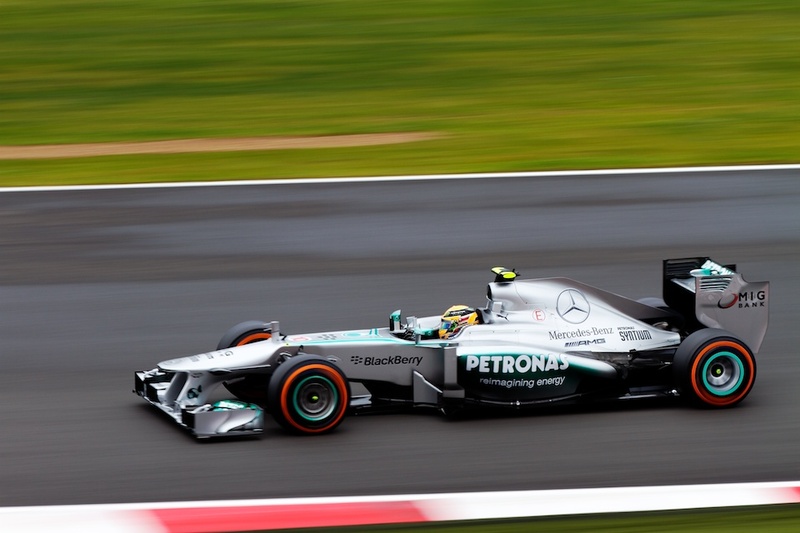 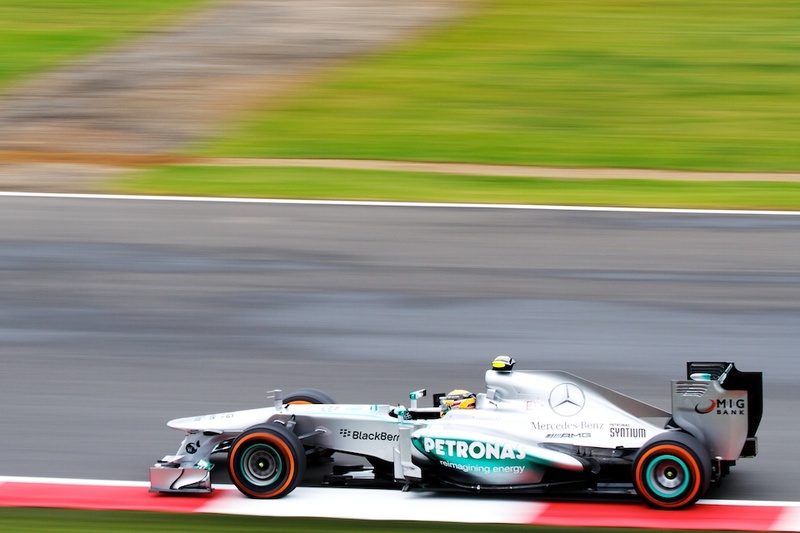 It was also nice to see Nico Rosberg take the win. 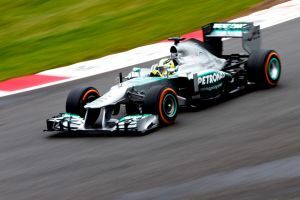 #AnyoneButVettal am I right? Before next year, I’ve decided I’m going to write a guide on the best Photography spots at Silverstone, so stick around for that soon. 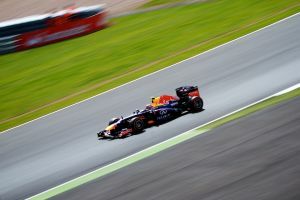 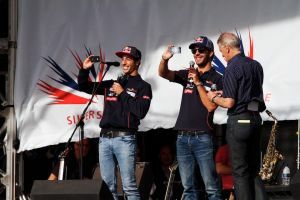 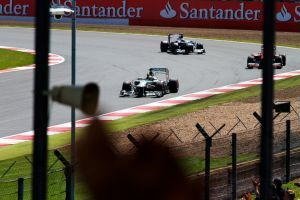 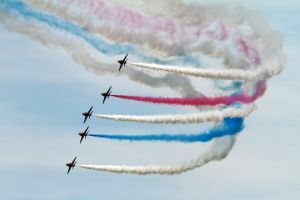 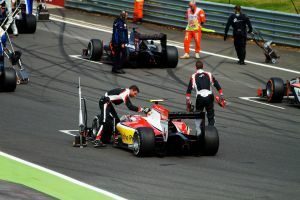 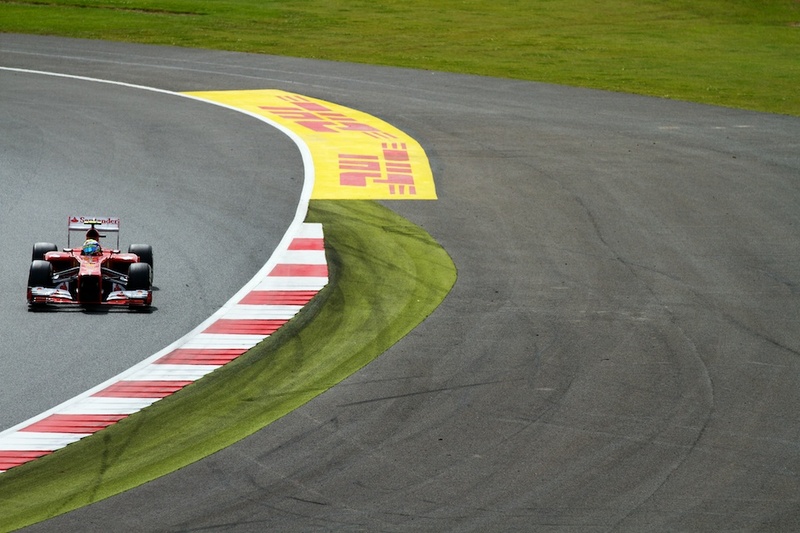 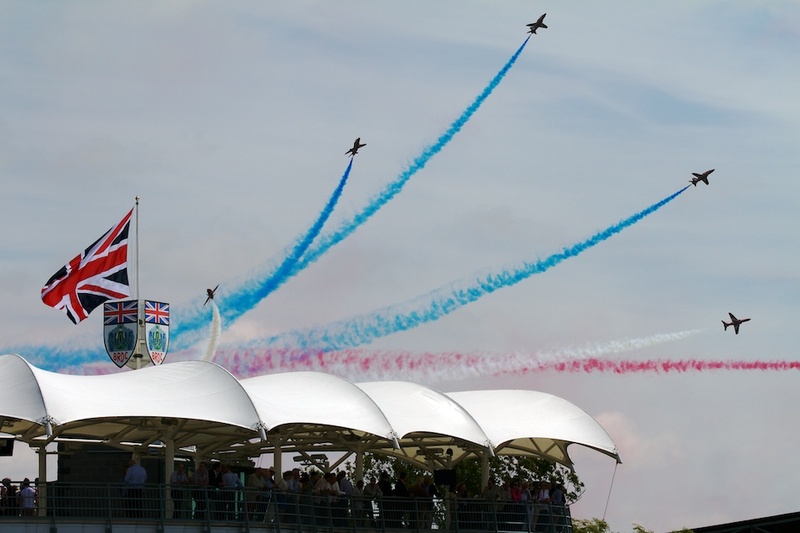 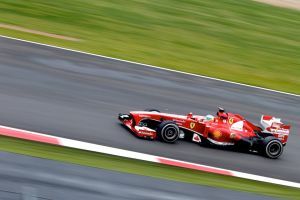 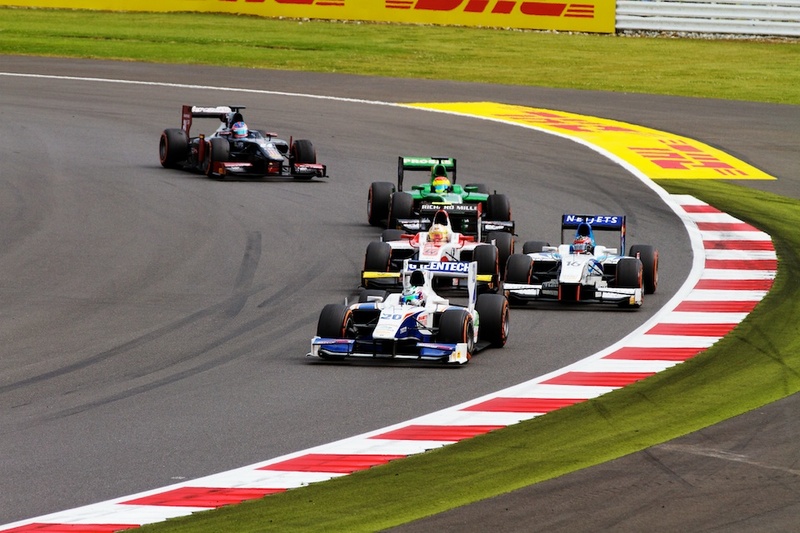 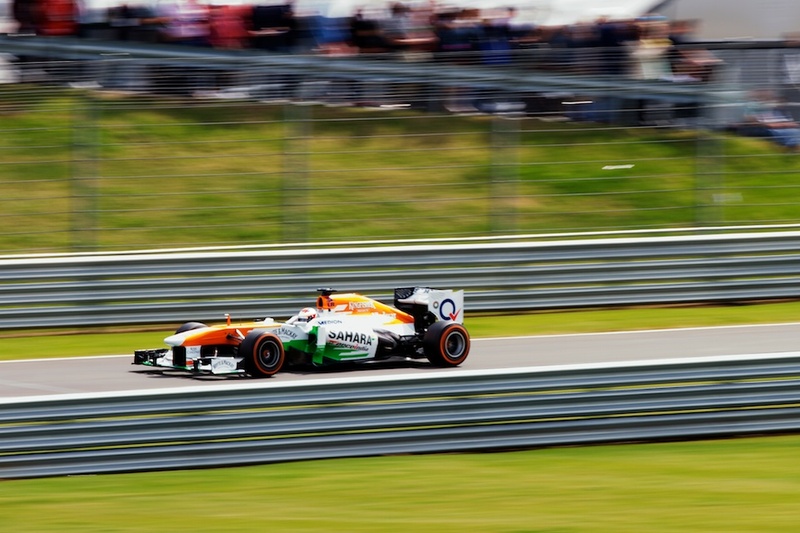 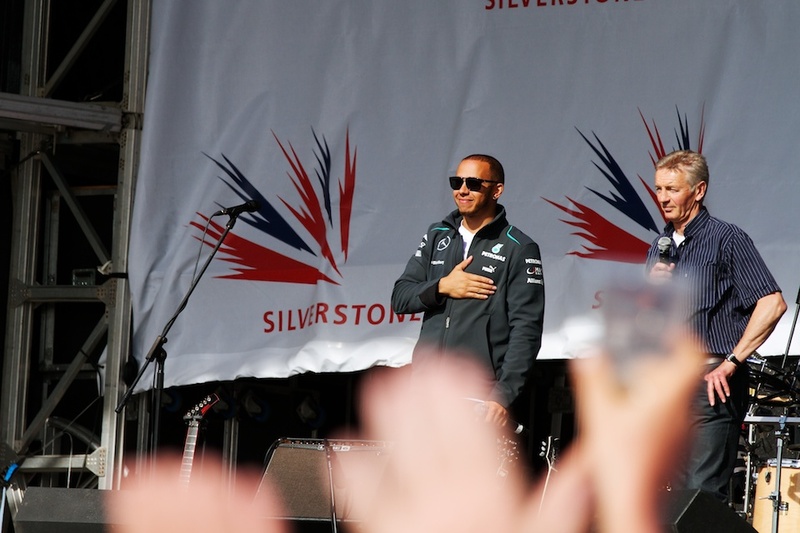 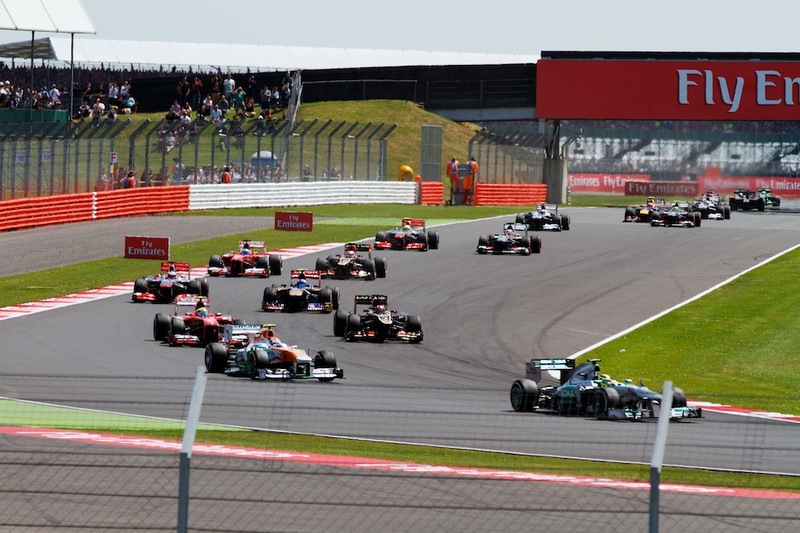 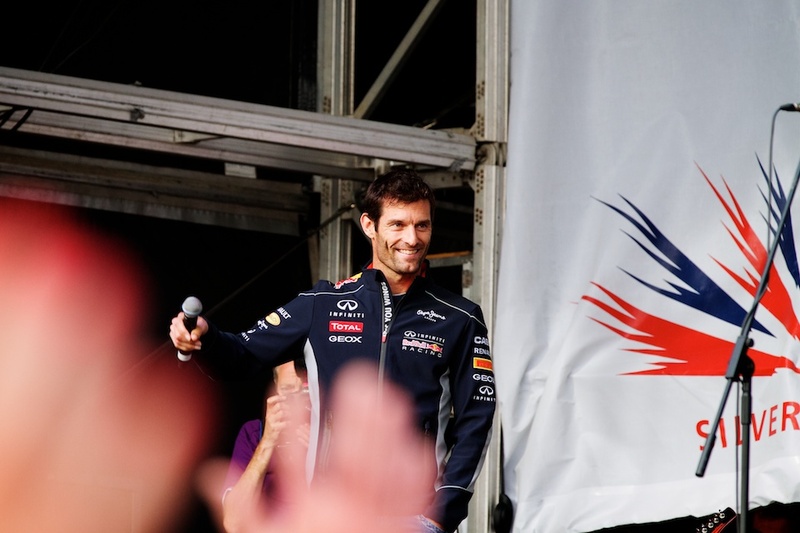 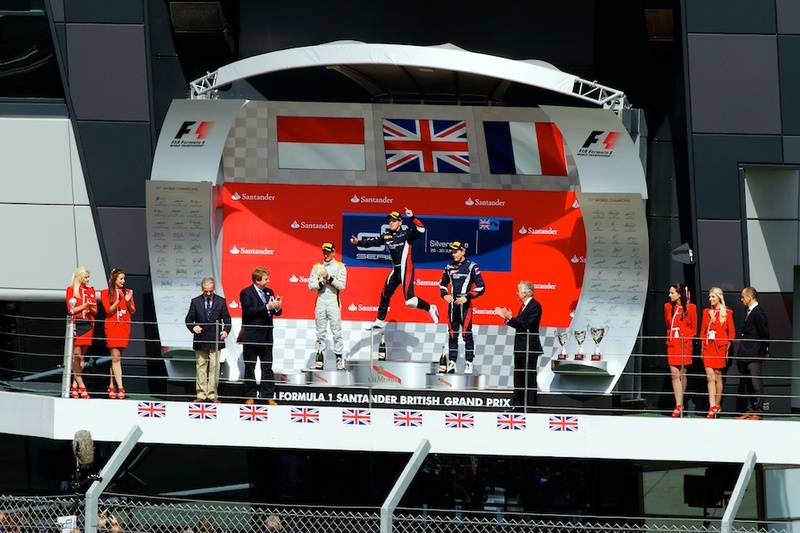 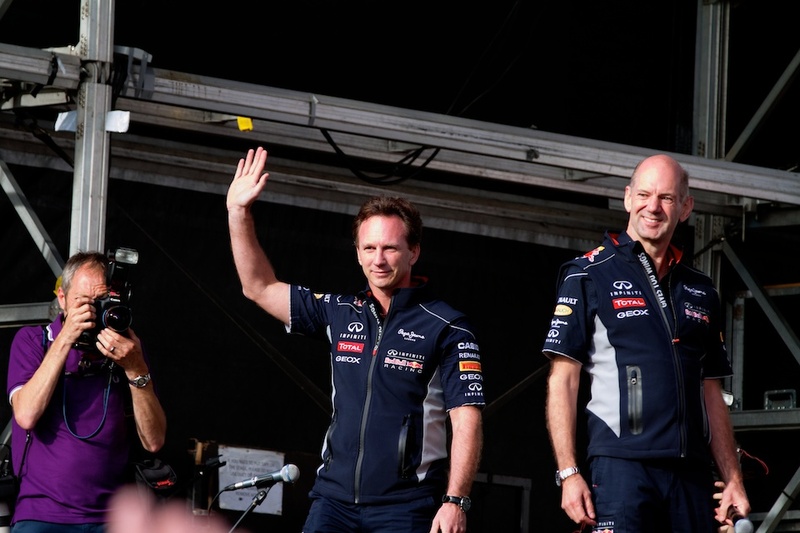 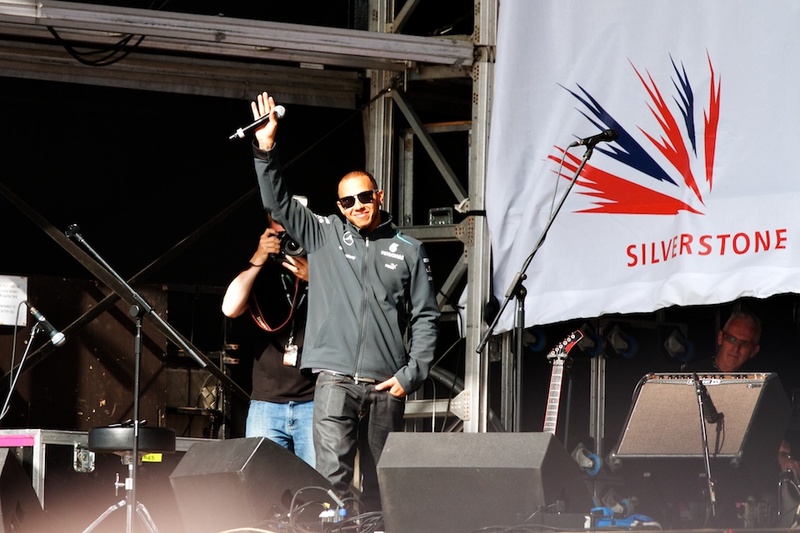 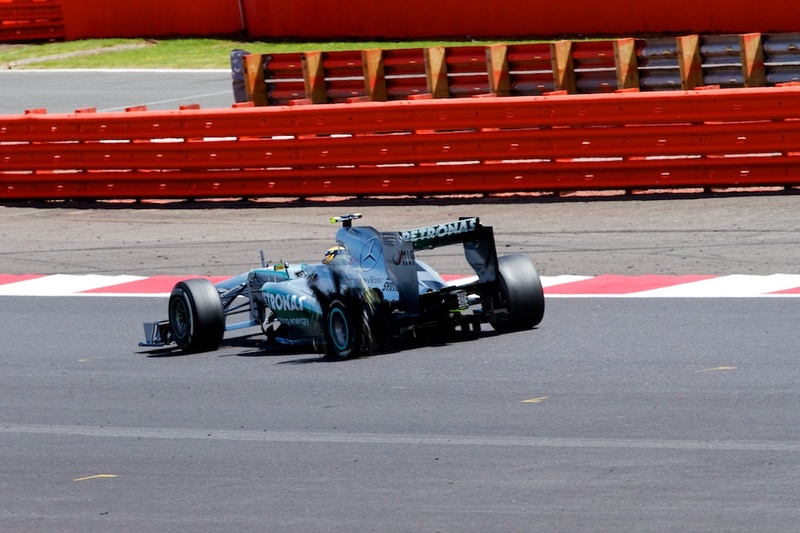 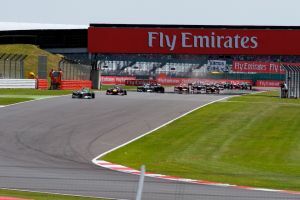 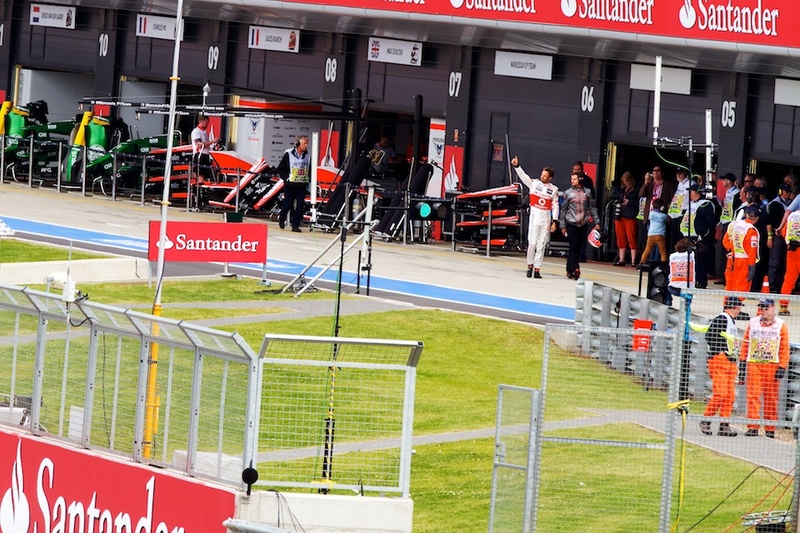 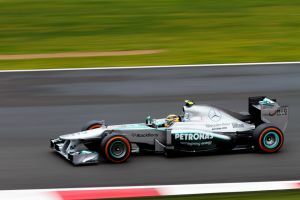 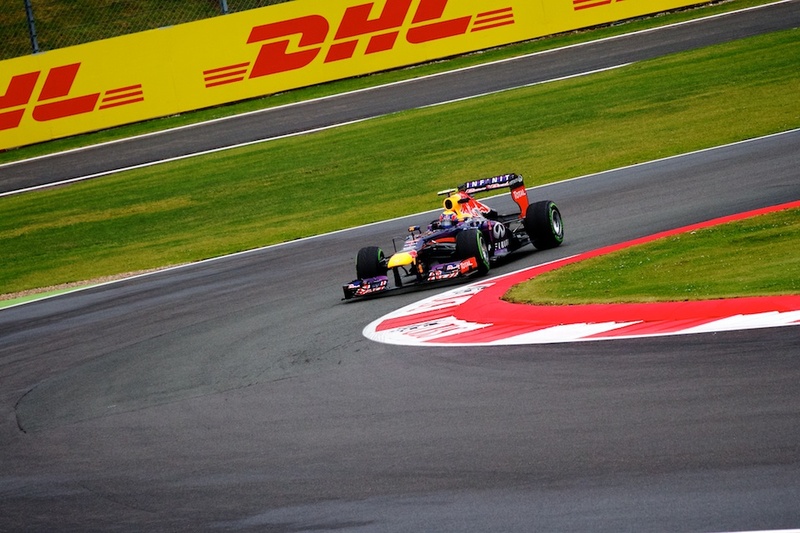 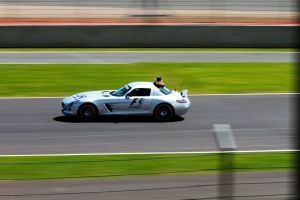 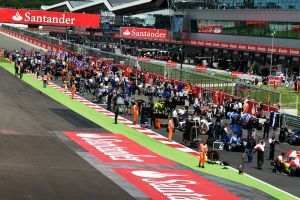 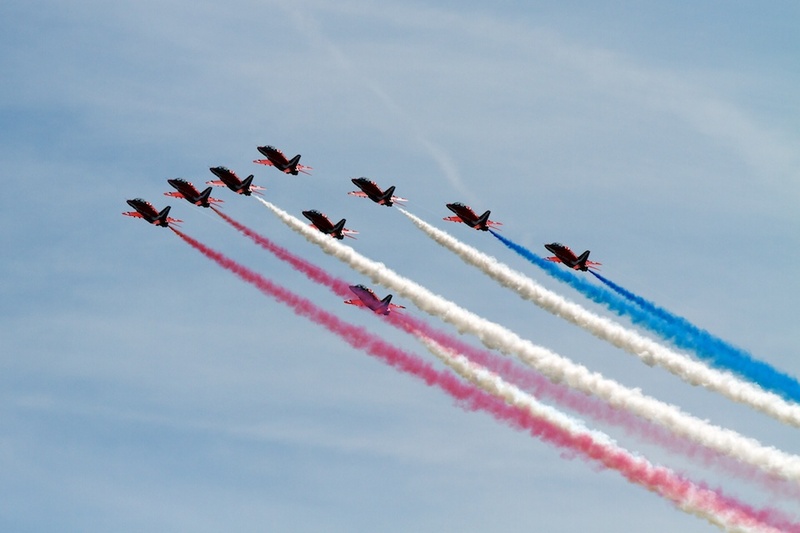 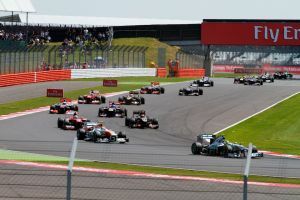 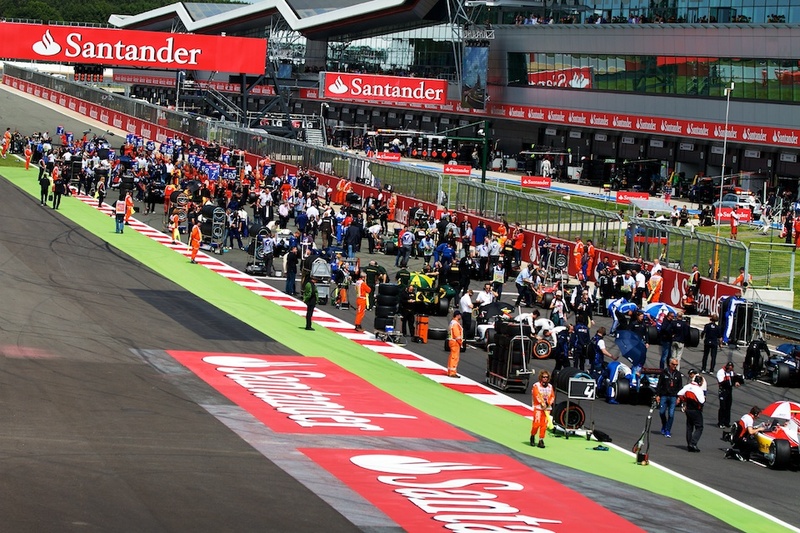 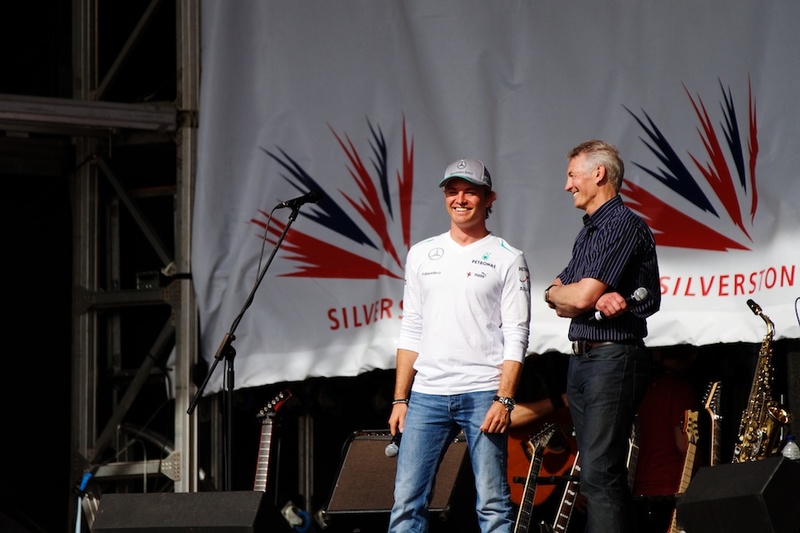 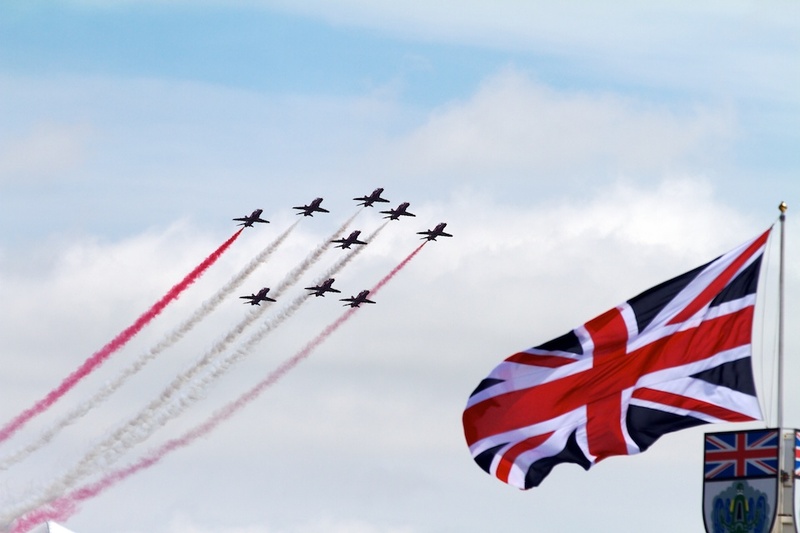 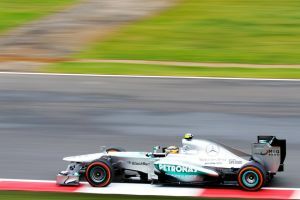 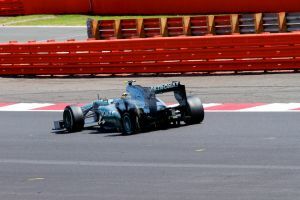 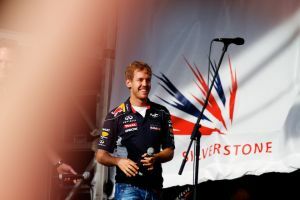 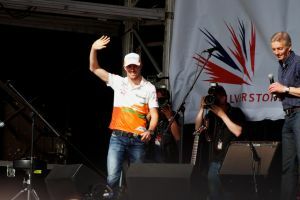 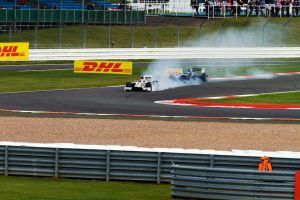 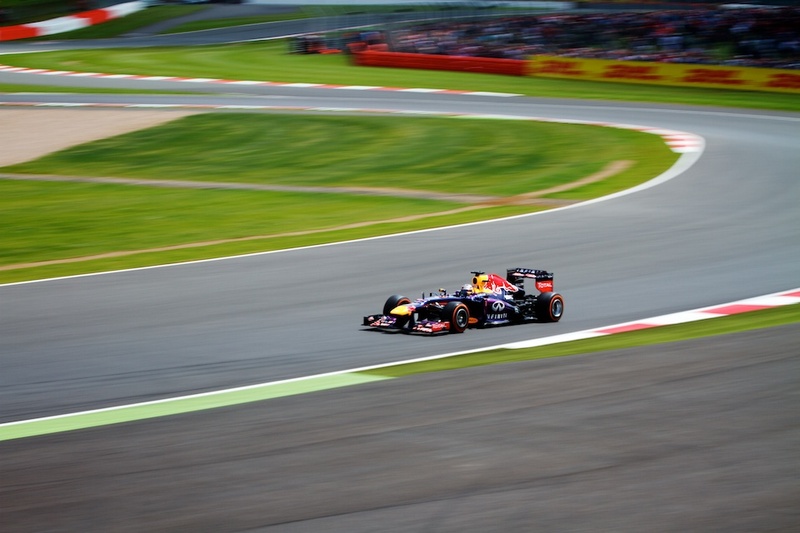 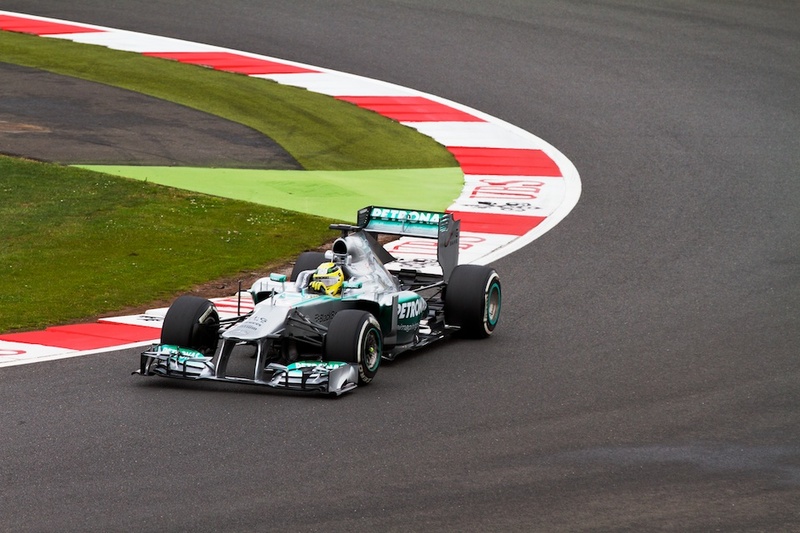 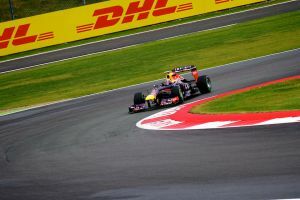 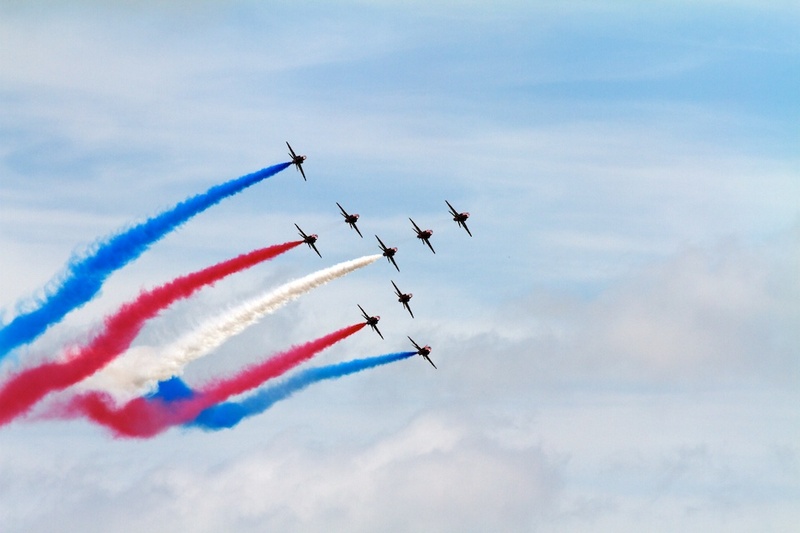 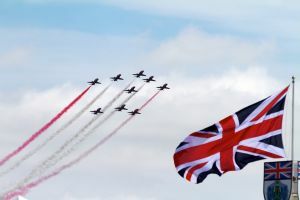 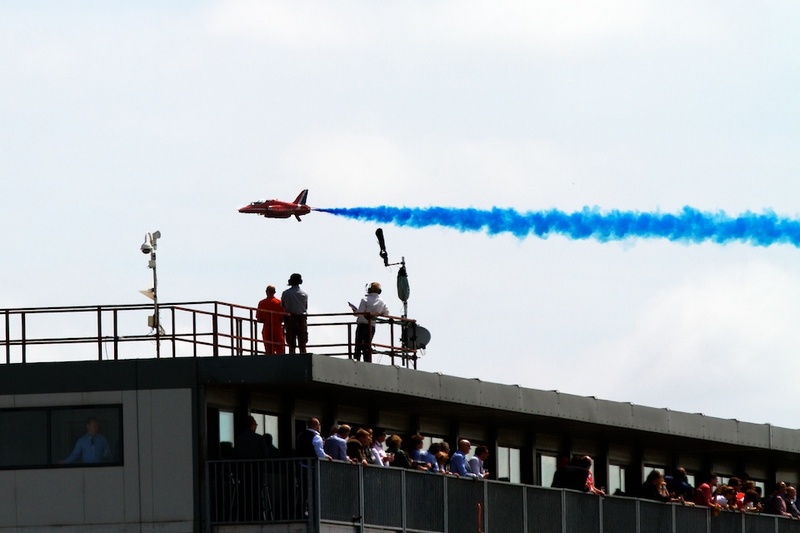 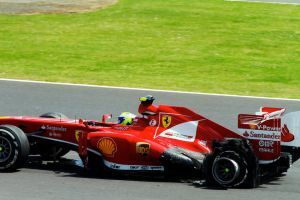 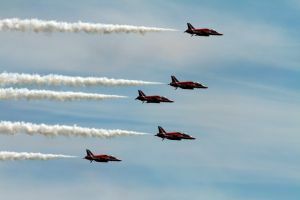 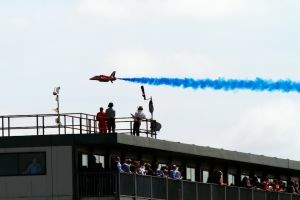 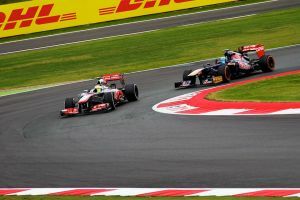 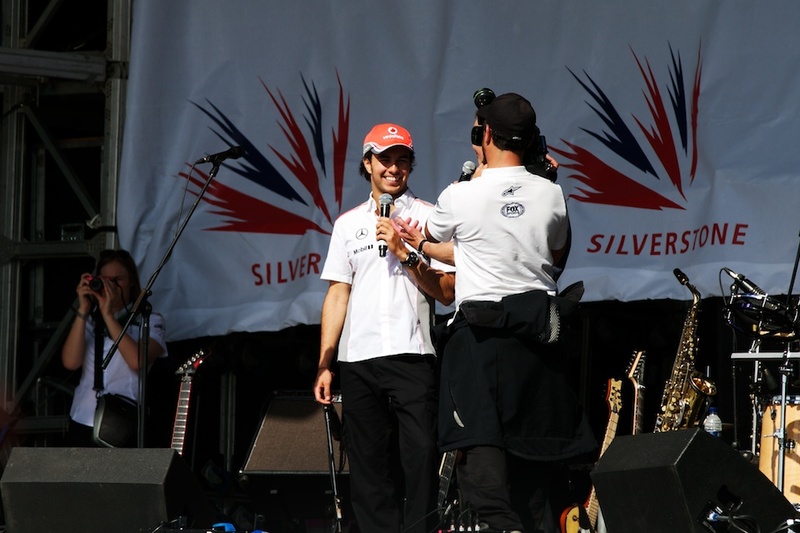 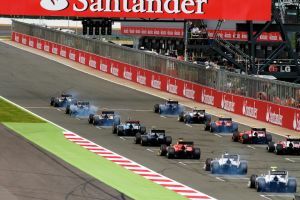 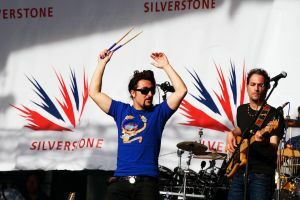 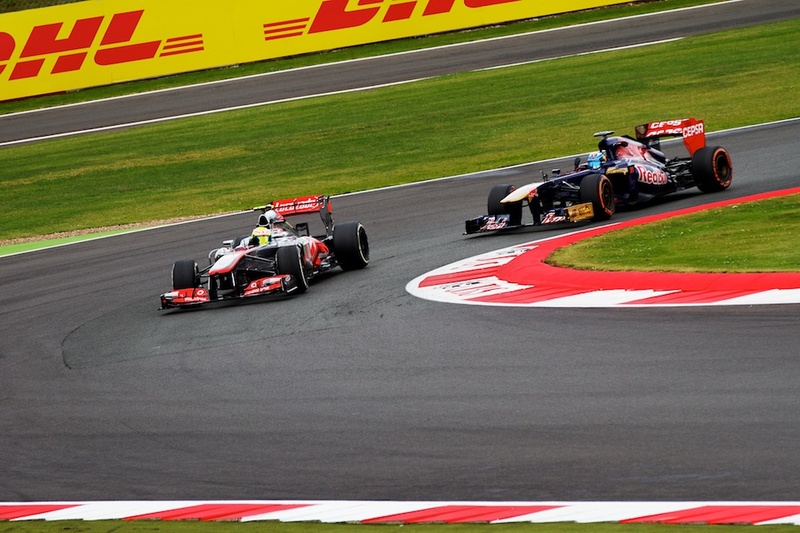 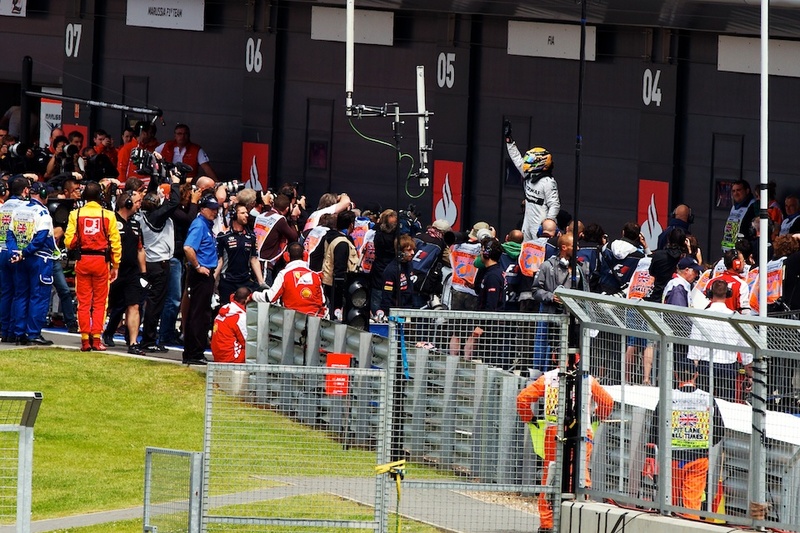 This entry was posted in Motorsport and tagged 2013, British Grand Prix, F1, Formula 1, GP2, GP3, Jenson Button, Lewis Hamilton, Mark Webber, McLaren, Mercedes, Nico Rosberg, Porsche Super Cup, Race, Red Bull, Sebastian Vettel, Silverstone, The Red Arrows.